The Hendra vaccination (Equivac HeV) become available to our region mid November 2012. It was devised not only to stop horses from getting Hendra but to also reduce the risk of humans acquiring this deadly disease. Horses become infected from the Hendra virus by bats and then it is the horses that can pass it on to humans and other pets. So, by protecting your horse you are protecting yourself and your family. Unlike many other vaccinations Equivac HeV is under a special use permit and must be administered by a Hendra Vaccination Accredited Veterinarian (we have many of these in our practice). -There is no data testing the safety or efficacy of Equivac HeV in pregnant mares or animals intended for breeding. Use in these animals should be weighed against the risk of serious illness or disease caused by Hendra virus infection. - There is no data testing the Equine HeV vaccine in conjunction with any other vaccine or treatment. 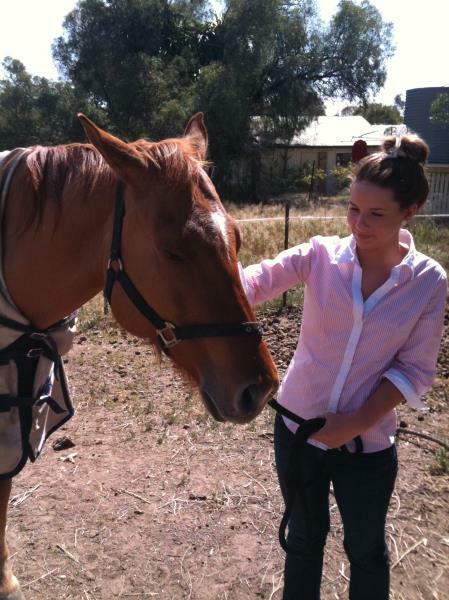 In trials, vaccinated horses did not become infected with Hendra virus or show clinical signs. However, appropriate PPE should be worn whenever Hendra virus infection is suspected, even in vaccinated horses, as no vaccine can provide guaranteed protections.